Vancouver, British Columbia–(Newsfile Corp. – April 5, 2018) – Bearing Lithium Corp. (TSXV: BRZ) (OTCQB: BRGRF) (FSE: B6K1) (“Bearing” or the “Company“) is pleased to report that a second sample of lithium carbonate with a purity of 99.9% was produced by Veolia Water Technologies utilizing concentrated brine from the Maricunga project. This is a subsequent sample to the previous release on February 21st, 2018 which announced a 99.4% purity lithium carbonate sample produced by GEA. The Maricunga joint-venture continues to advance towards the submission of the Environmental Impact Assessment (EIA) for the project in Q2/2018 and the completion of a Definitive Feasibility Study (DFS) in Q3/2018. Minera Salar Blanco (MSB) has provided an update on the ongoing advancements at the Maricunga lithium project in Chile. Minera Salar Blanco (MSB) is a joint-venture company owned by Bearing Lithium (17.7%), Minera Salar Blanco SpA (32.3%) and Lithium Power International (50%). Under the terms of the earn-in, Lithium Power has contributed the exploration and development funding to advance the project through to the completion of a Definitive Feasibility Study. Minera Salar Blanco has produced its second lithium carbonate sample from Salar de Maricunga brine at the Veolia facilities. The brine was concentrated at pilot plant solar evaporation ponds at the site for almost 12 months, and subsequently treated at the lab of Veolia in order to purify and precipitate lithium carbonate suitable for battery grade specification similar to those produced in Chile by Albemarle and SQM. The processing approach is based on conventional technology, which has been employed within the industry for decades, and is scalable up to commercial production levels. The purity of the product is estimated at 99.9%. The optimized evaporation process has been developed by Peter Ehren, principal process consultant to the Maricunga Project (MSc. Raw Materials Technology, QP under NI 43-101), and executed by Veolia. This work has been achieved by using several crystallization techniques to remove primary contaminates such as tachyhydrite and calcium chloride from the Maricunga lithium bearing brine. A second part of the process provides for simplified and optimized polishing stages in order to remove the remaining boron, calcium and magnesium from the concentrated lithium brine. This successful application ensured the purity of the final washed lithium carbonate production was 99.9% which exceeds the battery grade lithium carbonate specification (c.f. 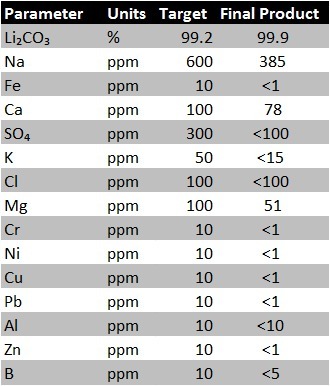 Table 1 below). 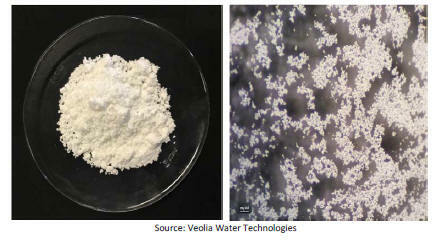 Veolia Water is the water division of the French multinational company, Veolia Environment S.A. or Veolia. Veolia is headquartered in Paris, France, and has four primary business segments: water management, waste management, transport and energy services. Veolia has been testing the concentrated Maricunga brine at their facilities since Q3/2017. This work will be ongoing during the Definitive Feasibility Study that the joint venture is undertaking during 2018. Optimisation of the lithium extraction and potassium production aims to establish the lowest cost for the process, with the highest possible lithium recovery. Bearing Lithium Corp. is a mineral exploration and development company, primarily focused on lithium. Its primary asset is a free-carried 17.7% interest in the Maricunga lithium brine project in Chile. The Maricunga project represents one of the highest-grade lithium brine salars globally and the only pre-production project in Chile. Over US$30 million has been invested in the project to date and all expenditures through 2018, including the delivery of a Definitive Feasibility Study in Q3/2018, are fully-funded by LPI, their earn-in joint-venture partner. Bearing Lithium also holds a portfolio of grass-roots exploration projects in the gold district of the Yukon, which are currently optioned to Golden Predator, and a lithium project in Nevada, which is currently optioned to First Division Ventures Inc. Forward-looking statements are frequently, but not always, identified by words such as “expects”, “anticipates”, “believes”, “intends”, “estimates”, “potential”, “plans”, “possible”, and similar expressions, or statements that events, conditions, or results “will”, “may”, “could”, or “should” occur or be achieved. Forward-looking statements in this press release relate to, among other things, submission of the Environmental Impact Assessment and completion of a definitive feasibility study in Q3 2018 . Actual future results may differ materially. There can be no assurance that such statements will prove to be accurate, and actual results and future events could differ materially from those anticipated in such statements. Forward-looking statements reflect the beliefs, opinions and projections on the date the statements are made and are based upon a number of assumptions and estimates that, while considered reasonable by the respective parties, are inherently subject to significant business, economic, competitive, political and social uncertainties and contingencies. Many factors, both known and unknown, could cause actual results, performance or achievements to be materially different from the results, performance or achievements that are or may be expressed or implied by such forward-looking statements and the parties have made assumptions and estimates based on or related to many of these factors. Such factors include, without limitation: the occurrence of unexpected financial obligations, fluctuations in the price of lithium or certain other commodities; fluctuations in the currency markets; changes in national and local government, legislation, taxation, controls, regulations and political or economic developments; risks and hazards associated with the business of mineral exploration, development and mining (including environmental hazards, industrial accidents, unusual or unexpected formations, pressures, cave-ins and flooding); the presence of laws and regulations that may impose restrictions on mining and employee relations. Readers should not place undue reliance on the forward-looking statements and information contained in this news release concerning these times. Except as required by law, Bearing does not assume any obligation to update the forward-looking statements of beliefs, opinions, projections, or other factors, should they change, except as required by law. Disclaimer: This is an unedited and minimally reviewed public mining company press release originally published at http://www.newsfilecorp.com/release/33866/Bearing-Achieves-99.9-Lithium-Carbonate-Purity-in-Second-Maricunga-Sample. We have linked to our knowledge base articles from within the content of this release in order to help explain some of the terminology used and provide continuity from previous and related news coverage. You can access more in-depth mining company project reviews on our site, as well a knowledge base of articles on mineral exploration, mining and geology-related topics.